The Honey bee Waggle Dance - is it a Language? ~ Phu Quoc Bee Farm: Save the bees with us! As the video indicates, the honeybee’s dance encodes key information about the resource. 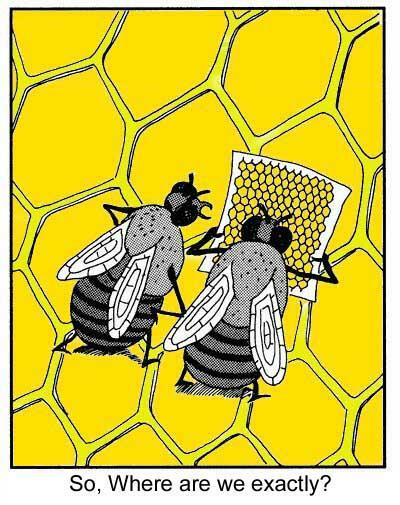 For instance, as she performs waggle runs on the vertical comb surface, her average body angle with respect to gravity corresponds to the direction of the food source relative to the current position of the sun (the sun’s azimuth). Accordingly, if the food source lies in the exact direction of the sun, she will waggle straight upwards; if the food lies, say, 30 degrees to the right of the imaginary line to the sun, she will angle upwards 30 degrees to the right of vertical. Also, the duration of her waggling runs is directly linked to the flight distance from the hive to the food source, with (for many bee subspecies) every extra 75 milliseconds of waggling adding roughly another 100 meters to the distance. Further, the more attractive the destination, the longer and more vigorously she dances, and the more quickly she returns for the start of each waggle run. 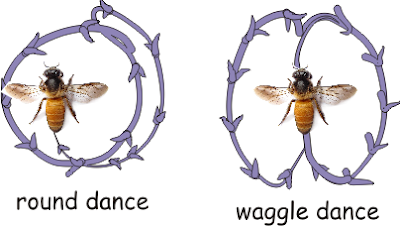 Depending on the richness of the food source, she may perform up to 100 waggle runs in a single dance. 1. Rule-Governed. If a communication system is to be considered linguistic in nature, it generally must be based on a set of rules that are structured and used with regularity. 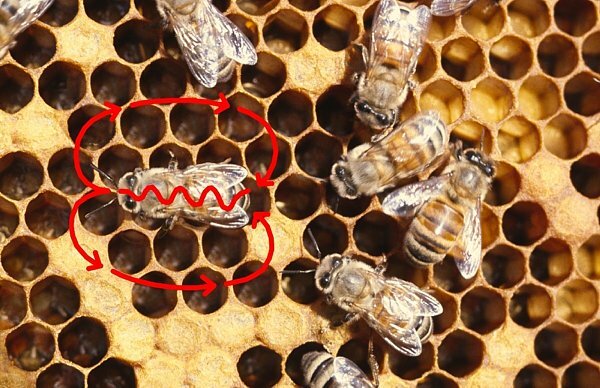 This is the case with the waggle dance: the dance is always performed in a designated place within the hive, it is never done unless an audience is present, and it always follows a standard template for conveying direction, distance, and desirability. While the general rule is that the waggle dance is to be used to inform other bees about sources of nectar, when the colony has a special requirement (e.g., locating water when the hive is overheating or finding a new home when part of the colony must relocate) then the rules dictate that the dance purpose switches to this pressing need. Also, the general rule is that foragers dance about rich, reliable and near resources, but in times of need the “dance threshold” for less desirable resources is lowered. 2. Complexity. A key dimension of a true language is its complexity, as it is unlikely that a communication system based on just a few rules will qualify as a language. The bee dance rules are not only extremely intricate, but they are applied in a versatile and complex fashion to respond to differing environmental factors and hive requirements. 4. Symbolic. By itself, the symbolic nature of the waggle dance has led to its being called a language. The dance symbolically represents conditions existing in the real world, actually enabling human researchers to “read” the information encoded in the dance to find specific honeybee food sources and even to design experiments about honeybee foraging behavior. 5. Performative. According to linguistic theory and as first articulated by John Austin, languages not only describe the world, they also include what he called “performative” utterances, which are used to carry out actions.4 Not only is the waggle dance symbolically descriptive, but it has performative force in the sense that it elicits action from the bees who watch it (as Crist notes, the performative nature of the waggle dance is implicit in the way in which scientists “routinely deploy a vocabulary of announcing, reporting, summoning, recruiting, soliciting, inviting, commanding, and guiding” in describing it). i like the way you analystic. very logic.